Paris, France was the scene of a horrific terrorist assaults which targeted people at various locations and disparate functions murdering at least one-hundred-thirty people and wounded over three-hundred more some of which still in questionable serious condition. Almost immediately world leaders met in the French Capital for a climate change convention. Many national leaders, President Obama amongst them, when queried as to what is the greatest challenge facing the world was answered that it was climate change which may cause coastal area flooding as well as stronger, more severe and increased number of such storms. President Obama was amongst those who refused to mention the horrific assault on Parisians by Islamic State terror operatives. Such a response simply boggles one’s mind that the attacks did not even warrant a mention as if the planet was on the brink of disaster from Global Climate Change. Here is what we do know. First is that climate does indeed change naturally as we had snowball earth as well as a number of ice ages and a year without a summer after the eruption of a volcano in Indonesia. We know that the resultant changes in the climate are based on models and these models are considered accurate in their prediction of the weather at the end of the century despite models made by the same brilliant minds cannot tell me if it will be raining next Sunday or will it be conducive for a large family picnic. We know that government monies are only available for researchers’ efforts who believe that global climate change is a real and immediate problem. Further, if one can also place the blame for these changes on mankind and prove it is Anthropomorphic Climate Change without using those models which have been proven to start with the desired result and then working their way back to where we are now to grow their formula, then some might take their arguments seriously instead of relegating them to the junk science producing the predictable result demanded by the government paying for that desired result. Despite this effort to push Anthropomorphic Climate Change there are a fair number of scientists who claim that they cannot predict with complete certainty the actual effects of climate change but can most assuredly claim and prove that it is not caused by mankind and that the amount of so-called human influence is negligible and that the entirety of climate change scare is just that, a scare tactic to have the people give over to government control over much of our lives. They see Anthropomorphic Climate Change as simply a route to new laws and restriction on personal freedom of our lives such as how far from our work we are permitted to reside, carbon taxes, carbon credits which are given the less advanced nations to use when getting more wealthy nations to provide them with monies for these credits which can then in turn give the poorer nations to develop clean energy systems. In all honesty, Anthropomorphic Climate Change is a redistribution scheme dressed up in a pretty package developed by climate change proponents and those naysayers are just against poorer nations and want them to only produce carbon based fuels. When this is their argument the redistribution of wealth becomes absolutely evidenced leaving no room for other arguments. 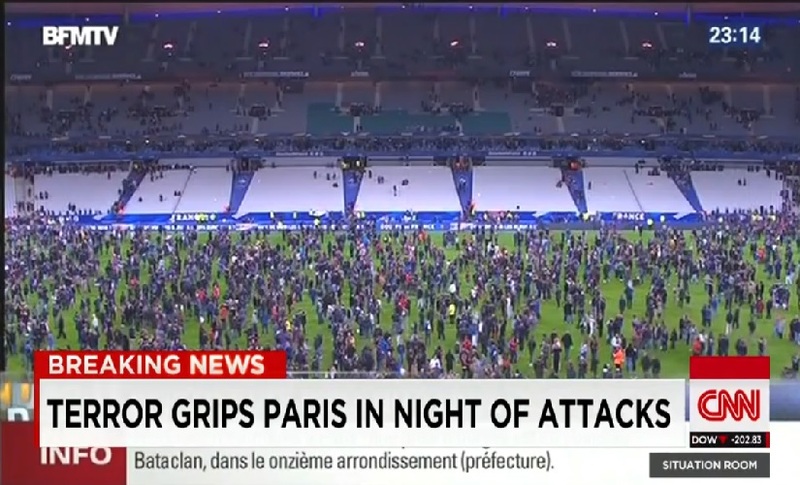 Meanwhile there was a shocking assault upon the people of Paris, France by the Islamic State (previously known as IS, ISIL, ISIS) and we are informed that there will be further such operations as the opportunities present themselves. Further, Israel is once again experiencing a wave of knife attacks, vehicular homicides, shootings and fire-bombings. There were at least two attacks in the past twenty-four hours, and this probably holds true for whenever you are reading this article as it was when it was written. There has been another curious series of events concerning the coverage these assaults have received. There are a number of separate results of these assaults, the person assaulted dies, multiple people are attacked with differing injuries from light and treated at scene to those pronounced dead at the scene and all various categories admitted to hospitals. Then there are three other broader categories. Attacker succeeds in their attack and escapes. The attacker is caught likely with non-life threatening injuries. Interestingly enough these two varieties of attacks meet with almost no coverage in media coverage outside Israel. Then there is the final type which is where the attack is carried out and the terrorist is killed or severely injured and fears are the terrorist might not survive. There was this news story titled “Two Palestinians killed during new stabbing attacks”. Then there was the original CNN headline, “Palestinians shot boarding kids’ bus” since changed to “Armed Palestinians shot after trying to board bus with children on board.” Such misleading coverage is not accidental but rather slanted against Israel and is not limited to CNN or the New York Times. We were given a glimpse of the world for those select few who are members of the White House Press Club when Helen Thomas was interviewed by a Rabbi, she was told he wanted to record the top stories about the Presidential media to get a feel for the moods and views for his writings when asked about the Middle East when she responded curtly that the Jews should, “get the hell out of Palestine and return and go home to Germany, Poland or the United States.” Many claimed this was the ugliest side of Helen Thomas they had ever seen. 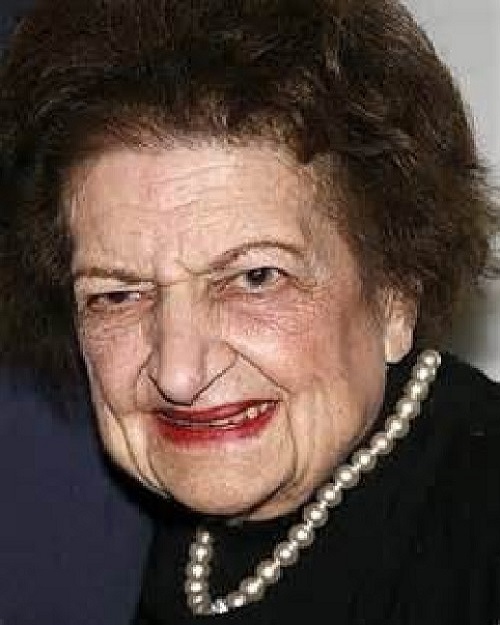 Those comments cost her the position she had on the White House Press Corps, awards both that she had been expected to receive or had been named after her all had to be reassessed, renamed, or find a new presenter. Now it is starting to appear that major newspaper editorial boards and network news programs have started to support the blame Israel as the problem and if only there were no Jewish State then there would be no senseless violence and peace would cover the area like a blanket of warm fuzzes. Anybody honestly believing that the troubles in Syria and surrounding nations in the MENA area exist due to Israel, they need to have a reality check and if they still do not see a problem of blaming everything on Israel they should be granted government paid for mental assistance. Any glimpse into the Middle East which includes North Africa (thus MENA) finds unlimited and open warfare in Syria, Libya, Iraq, Yemen, Nigeria, Kenya, Turkey with the Kurds, and others with terrorism a threat everywhere. Blaming Israel for the major breakouts, which are plainly other national struggles often the result of the Shiite/Sunni divide which pits Iran and Syria against the majority of the rest the Muslim nations, is plainly as ludicrous as it is bald-faced lies. The disingenuous accusations targeting Israel largely pushed by Secretary of State Kerry when claiming that the Hebdo and Hyper Cachet kosher market were understandable and these latest murders are not is a frightening revelation. With such lost credibility Secretary Kerry should be removed from the efforts to pound a solution out of Israel while allowing the Palestinians claim any evil they wish on Israel and allow them to remain as the final word is sheer hypocrisy. Secretary Kerry was not the sole person to differentiate between the broad strike and January’s more targeted strike. Interviews of Parisians in the aftermath of the November 13, 2015, terror attacks noted the stark difference that this time those killed by Islamist terrorists weren’t just Jews or provocative cartoonists. Quite a number of those interviewed when asked about the Charlie Hebdo or Hyper Casher attack compared to the Friday November 13, 2015 attacks were insistent that after the Charlie Hebdo or Hyper Casher they did not feel a sense of threat or danger to themselves. Many expressed it as, ‘Those were simply attacks on cartoonists who went too far and insulted Mohammad and the Hyper Cacher is a kosher market so it could be expected for those people to be struck by terrorists, but there was no reason before the 13th of November to feel that terrorism would strike any closer to home as we were not crazed cartoonists nor were we Jews.’ Hypocrisy such as this should signal to the Jews of Paris if not France and France if not Western Europe and Eastern Europe if not all of Europe or perhaps the world over this may be the clarion call telling you that there is nowhere on this earth where people will not blame you for any terror strike on your neighborhoods and excuse such attacks as they did not involve normal people, only Jews. 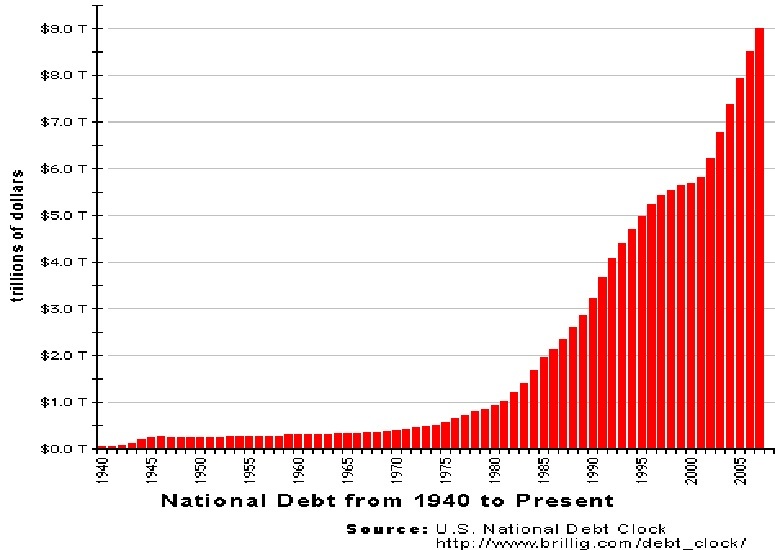 The average people the world over are once again drawing a line between what happens to them and those same things happening to the Jews. They write off those assaults and other degradations and dangers which happen to Jews are acceptable because the Jews somehow deserve all that befalls them while attacks upon them are completely unjustifiable. The old adage of society good, Jew evil, society innocent and thus clean of sin, Jews somehow guilty and full of sins which is why they deserve scorn and death and as long as you attack Jews there will be deserved. 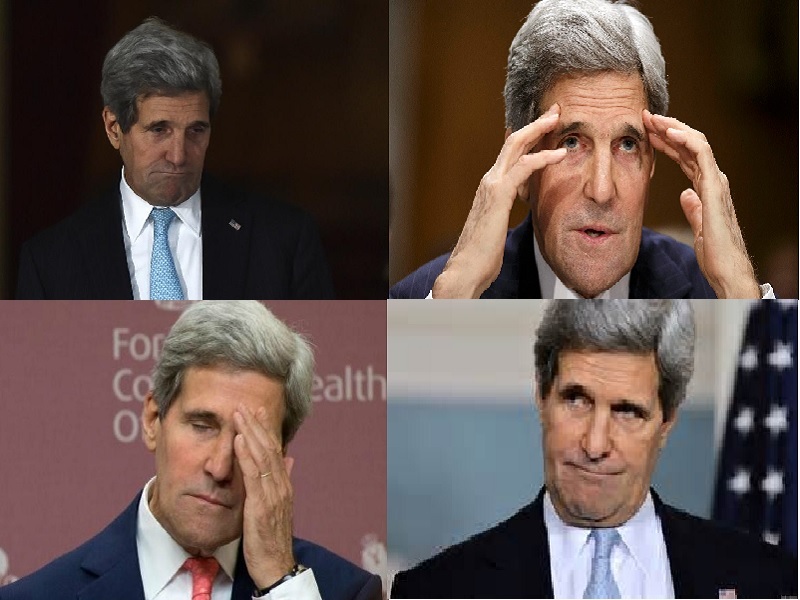 A four picture montage of John Scary Kerry at his long-faced best. Hopefully once he is done failing and flailing at being Secretary of State we will be done with John Kerry. His ineptitude and at times traitorous actions have shamed the United States ever since his treacherous testimony before the Senate accusing his supposed, though never in Kerry’s mind or heart, fellow soldiers equating them with the ruthlessness of Genghis Khan and his opinions have little changed with the years. Your safety will not be protected by these societies and when they face the choice between sacrificing you and your family against their hides and their families, guess which is easily fed to the monsters. We have played this game before with these kinds of Europeans before and it did not turn out all that well. Over time we have covered the idea that Israel is the Jewish People’s last and best refuge including but not exclusively in these articles in chronological order published April 15, 2011 titled “If Not Israel Where do the Jews Belong?”, published April 2, 2012 titled “Israel is the Jews Last and Final Chance”, published January 4, 2014 titled “Importance of Israel to Jews Today” and published April 21, 2014, titled ”Safest Place for Jews is in Israel?”. The safe refuge that is Israel will soon be the only place of actual safety for the Jewish People. There will be those Jews who feel that such would be too much of an inconvenience but once they have visited Israel they will find their place in this magical land of miracles. My coming to Israel was decided when I was nine and made myself two promises, to care for my parents until they no longer needed assistance or was released from that promise and then make Aliyah. These remained dormant in the back of my mind until the death of my little sister and then the final decision came when I was released from the former predicating task and my move to Israel was the only thing I could think of accomplishing, and here I am, in Israel. Hashem in Torah spoke of the three exiles, the first was Egypt, the second Babylonian and the final one the Jewish People were to be cast throughout the lands of Earth such that they were in every culture and from there Hashem promised to drag them all home to Israel. This miracle was to occur as either the Jewish People became very much religious and Zionist or they were to be assimilated such that they would be indistinguishable from their neighbors as in much the United States. The crazy thing is Jewish sages always claimed that it would be one or the other but there are more Jews following the religious demands than ever in history and there is a large number of Jews assimilated and seemingly completely immersed in the culture of the nation where they reside. But anti-Israel then included with it anti-Zionism and we are witnessing the onslaught of the final and unavoidable end, the anti-Semitism, full-fledged and overt anti-Semitism reaching slowly but inexorably across Europe and beginning to take root in the United States. This is the start of the return, the reinvigoration of the dry bones.